SAP “Systems, Applications and Products in data processing” is the fourth largest software company in the world. SAP provides end to end business solutions for Manufacturing, distribution, financial, logistic etc. SAP module is tightly integrated with sub modules. SAP is an Enterprise Resource Planning (ERP) system by SAP AG, company based at Germany. SAP software suite that is being implemented as part of business re-thinking and Provides end to end solutions for day to day operations. SAP has become quite an important for many organizations to expand their business. Many companies use SAP systems broadly internally for their daily operations and reporting. Most legacy business systems were made up of islands of automation – separate systems that handled some core business needs. SAP is completely automated system to handle financial operations, marketing management, production planning, sales and distribution management, manufacturing management, human resource etc. There is strong connection between system and sub-system to exchange data in order to generate reports at various level of management for daily operations. SAP ERP systems – Business Suite / R/3 and Business One – are fully integrated business real-time systems. It eliminates data deviation between sub-systems and enables end-to-end transactions to be processed. Many companies are implementing the best-of-breed ERP package developed by SAP instead of their old business systems. Along with day to day operations, SAP also enhances business insight by providing real time access to timely information. There are many benefits of using SAP system. SAP system is contemporary and well planned. Support infrastructure is unique in the software industry. The main organization advantage of using SAP is that you get a complete set of integrated, cross-functional organization processes. Strategies and Operations After implementation of SAP system, the short, medium and long-term strategies of the business are identified, clarified and prioritized. SAP system will be useful to align internal workflows of organization. Organization can decide future state of business. Future state can be specified and project team can bridge the gaps between future system and current system to build a workflow of project Increased Productivity SAP implementation is increased productivity of organization. Employees can process many transactions easily and quickly using their different access credentials. It includes overall reporting and analytics to increase to a level that facilitate operations. Highly Flexible SAP Implementation improves process standard, efficiency and flexibility. It eliminates manual and tedious task. SAP architecture is very strong with a process-centric focus and a foundation that operates in real time communication with enterprise wide business processes those are highly flexible. Risk Reduction Today, SAP System reduces business risks on solving complex business challenges for long term growth. SAP implementation make all processes automated so it affects to risk factor of organization. Economic Management Financial operations become more flexible after SAP implementation. Furthermore SAP increases organization benefit, improves financial control, increase efficiency and reduce risk. Scalability SAP Solutions are scalable and can be customized according to business needs and easily integrated with future applications. It eliminates high integration costs and the need to purchase third-party software. Focus on ERP Applications SAP constantly focuses its ERP applications on utilizing resources, decreasing costs and better performance that is customized for businesses and industries. SAP provides a huge range of business software and enterprise applications – designed for global transactions and supported with globalization services – to empower every aspect of organization. 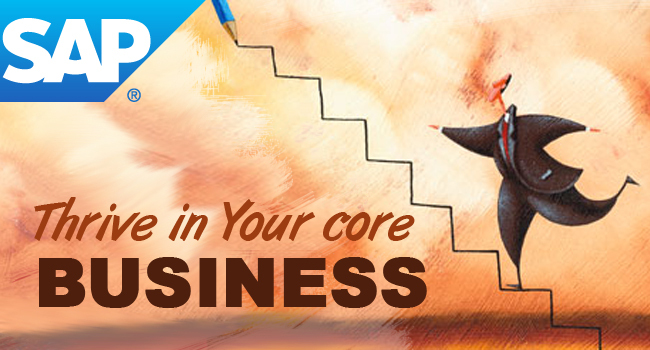 SAP is very useful software to enhance core business and beyond. It makes all business processes quick and easy. SAP will make efficient use of resources and give ensured quality. SAP is useful software for mapping business processes and business flow.